Because you can put gas in flex-fuel vehicles, and because you can’t find ethanol anywhere, just putting clean cars on the roads hasn’t meant cleaner emissions. 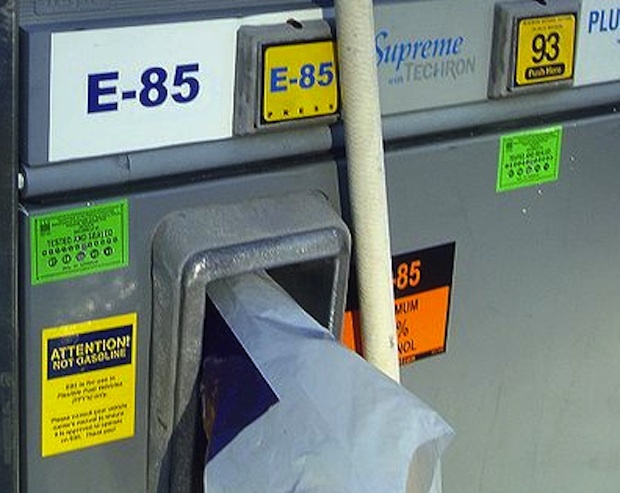 (gasoline and diesel).” Just because vehicles have alternative fuel capabilities doesn’t mean drivers will use them, especially if the most convenient source of fuel is gasoline. 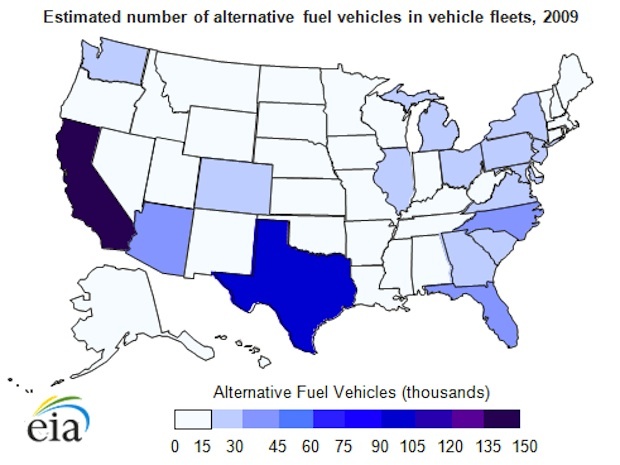 Part of the problem is that alt-fuel vehicles have been adopted by fleets that scooped them up because of financial incentives, regulations, or a desire to look good (“Our entire fleet has biofuel capabilities!”). Texas, for example, has a program that provides incentives to owners of large fleets to replace diesel-powered vehicles with alt-fuel capable ones. And nationally, the Clean Fleets Partnership is asking major corporations to switch to alt-fuel vehicles in exchange for the opportunity to collaborate with the DOE and use the agency’s resources. The only way that fleets will actually use more alternative fuels is if their fueling infrastructures are built out more thoroughly. This is already starting to happen with electric vehicles–Ecotality is installing thousands of charge spots across the country. And remember, the EIA report is based on 2009 numbers, so the statistics may not be so disheartening today. Then again, traditional gas stations still greatly outnumber alt-fueling spots, and that probably won’t change anytime soon.